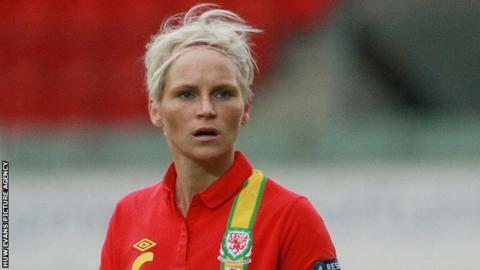 Seattle Reign midfielder Jess Fishlock says Wales have been handed a tough draw in the 2017 Women's European Championship qualifiers. "Norway and Austria are going to be difficult and Israel and Kazakhstan are extremely difficult places to go and play," Fishlock told BBC Wales Sport. "It's a difficult draw for us." Fishlock added: "But it's a draw we can be positive about because the top two go through." The eight group winners will qualify automatically for the finals in the Netherlands, which will feature 16 teams. Helen Ward's second-half goal gives Wales Women a 1-0 win against their Slovakian counterparts. Six runners-up will also qualify with the remaining two second-placed sides facing each other in a play-off, and the qualifying campaign begins in September. "We have to make sure we're ready for this group and we make a good start," Fishlock added. "I remember in the last Euros we didn't make a good start and it cost us in the end. "We have to make sure come September we're 100% prepared for the first game and start the campaign well. "It's going to be a long campaign and I definitely feel we can be excited and we have a chance to qualify."